Lizard leather. The tegu lizard at first glance, they look very scary and because of their constant flickering of their tongues, they look ready to bite. Being in the class of retpiles, they sniff or smell around by flickering their tongues. They are not poisonous although the bite can be very harmful because they have sharp teeth. And of course, they are very big, adults being 4 feet at length. 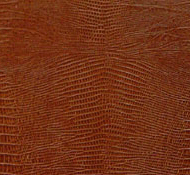 Whatever the case may be lizard leather is a very luxurious kind of leather the likes of alligator and crocodile. The hide is usually taken from the belly and when finished, they have a warm, shiny gloss. 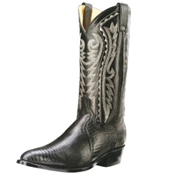 Products derived from lizard leather are usually made into boots, wallets, and watch straps. Not farmed, caught in the wild. Possible to hatch and grow in captivity. They have powerful tails and legs. They can leap up to 4 feet. There are injuries from those who have handled tegu lizards the wrong way but no statistics available for now. Lose of fingers from bites, bruises from tail slaps/lashes, scratches from sharp claws, but fatalities, unknown so far. A delicacy in South America. It has a hibernation pattern. Ah, now this is different from the rest of the animals featured here. They like to dig, dig, dig, and enjoy it very much. Usually this digging habit comes from the need to feed on insects and rodents. When farmed, they should be fed adequatlely so to reduce the digging. But still, there is a tendency to dig. Basically carnivorous but eat almost anything. Hey, tegu lizards can icecream, too! Basically, their diet consists of insects, fish, mice and rats. 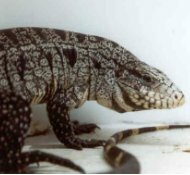 There are no records available as there are no commercial farming of the tegu lizard have not been officially recorded yet and the records are not available to the public The following are observations of captive tegu lizard cultures. Tegu lizards can be kept in cages or given a space to freely roam. When raised together, they have a "pecking order"; which ones feed first. When young lizards stop feeding on insects, fruits are given. Adults are given calcium supplements when needed. Usually a diet of pinky mice is a complete meal in itself. As reptiles, they shed skin. Have a "hide box" and maintain humidity for the tegu lizard to shed skin. Take careful note that they do not have problems in shedding and if there are, call in a specialist for treatment. Tegu lizards need to have a heat source, a basking spotlight is a necessary item. Better yet, if there is a good source of sunlight, provide access for the tegu lizard to bask. Hmmm, thought only people like to "sunbath". Tegu lizards like it, too. No official information available. Whatever the case maybe, a poor Argentinian farmer can make a great deal of income from just one hide, the income being comparable to a single harvest from his own farm land! The skin is taken from the portion of the belly. Usually the skinning process goes in hand with meat preparation. After the meat and the skin are separated, the skin is further cleaned of fat and connecting tissue. Salted and dried to prevent from decomposition and then tanned. It is durable comparable to cow leather. 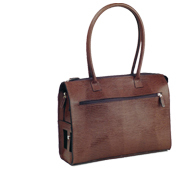 The leather becomes more beautiful and more supple as time passes, meaning it "ages beautifully".